Is the Samsung I8190 a shrunk-down Galaxy S III? It vastly depends on your understanding of a mini version, but we believe that it isn't. 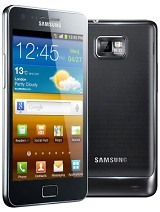 It's more of a Galaxy S Advance repackaged in an Galaxy S III-styled body and with a tad extra RAM. It's not a bad phone, it's just not what we expected to get. And certainly not at this price point. That's a pity because the start was promising - 4" is a perfect balance between portability and functionality for moderately heavy users, who don't want to carry a mini-tablet in their pockets. A proper RGB matrix on the Super AMOLED screen would have been appreciated though or at least a higher pixel density - the Galaxy S III mini aims to be an upper mid-range phone after all and you can actually find HD screens for less than it costs. Of course, under the right circumstances the Galaxy S III mini makes sense - processing power is enough for everything but the heavy games (which work better on the larger screens anyway), Android 4.1 Jelly Bean is great to have and there's sufficient storage and you can easily (and cheaply) expand it. Even the design seems to work better on the mini than it used to on the full scale Galaxy S III. The big problem with the Galaxy S III mini is that it's a mid-range phone and bang-for-buck is key in that market segment.. Yes, the mini is cheaper than the big Galaxy S III, but that one offers double of almost everything, so comparing them is anything but fair. Smart money is on the Galaxy S Advance, however, as it is virtually the same phone as the S III mini (though it doesn't look nearly as well) and is noticeably cheaper. 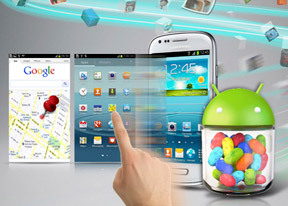 An interesting alternative is provided by the former Samsung flagship - the Galaxy S II. Packing a larger AMOLED screen and a full RGB matrix that one can actually beat the Galaxy S III mini in terms of processing power and is on course for getting Jelly Bean in the next month or two. 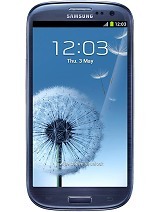 The Galaxy S II also offers a superior camera with 1080p video recording and more storage. The catch is that while 4.1 Jelly Bean is bound to be the end of the road for the Galaxy S II, it's only the start for the S III mini. Samsung has been doing pretty well with the updates of its devices lately, so the mini is likely to get at least one or two major update in its life cycle. Moving on to other brands - the Sony Xperia P has the same chipset, but sharper screen, higher-res still camera and a cool aluminum unibody (but no microSD card slot). The HTC Desire X does have a microSD card slot but its chipset is slightly slower and it can't record 720p video. Still, both are at the same price point, below the Galaxy S III mini. In fact, if the S III mini's price is acceptable, you can go for the Sony Xperia S, which costs the same, but has a 342ppi screen, a 12MP camera with 1080p video capture and 32GB (non-expandable) storage. Or how does a quad-core CPU sound? Because the LG Optimus 4X HD is not that much more expensive than the mini. The chances of the Samsung Galaxy S III mini don't look too great, but there might be a place in the company's Android lineup for a device like this after all. With the Premier, Galaxy S III and Galaxy Note II forming the top of the food chain, the diminutive droid gets to ride on the strong brand image, which is a pretty potent weapon. Plus, Samsung has done a good job of optimizing the hardware and its latest custom launcher Nature UX is arguably the most functional on the market. The price is too ambitious at the moment, but it should come down quite quickly at which point the Galaxy S III mini will be a great mid-ranger to buy. Until then, though, it will remain a niche device for people who love the Galaxy S III design language, but can't pocket the full-size version of the flagship.